Little Fields Farm where we are located is a small quiet livery yard. On moving onto the yard we have had to make a few changes to make it safe for our riders to ride in the ménage. We had “Essex Fencing Ltd” install a new fence along one side of the arena, with 2 gates, one for horses and one for riders to enter the ménage. They have done a marvellous job erecting it and would highly recommend them. The layout of the yard is very well designed in that riders and horses are well away from each other when on the yard and when group lessons are in operation. The ménage is a full size sand arena, that is regularly topped up each year. When it rains the arena does tend to get boggy and because of this we maybe will seek permission in the future to get a roof installed and/or have a new surface laid. We were thinking of something environmentally friendly and not an eyesore for the couple of neighbours that live near. We have been given some donations to go towards a portacabin to use as a office/training room, which we are currently in the process of getting. Somewhere for volunteers, riders and their carers to keep warm while waiting to ride. This will come as a great relief to our current volunteer who is in charge of our hats and getting riders ready for their lessons. 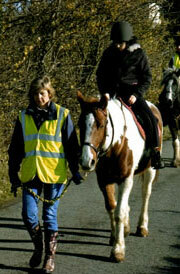 We are looking to increase more volunteers to help with riding, such as, leaders, side walkers and mounting staff to help during riding but also needed are people who would like to volunteer with the non horse side, such as committee members, trustees and voting and non-voting members, fundraisers etc. Once our office/training room is in place, we would like to look into training programmes for volunteers wanting to learn more about disabilities we work with and how to communicate and be better at helping our riders needs. Many of our riders want to achieve more in their riding, progressing into competition riding, doing their grades in horse riding and horse care. There are other areas to progress in which I know many of our riders would like and that is the show jumping side which we could be assessed for in the future. 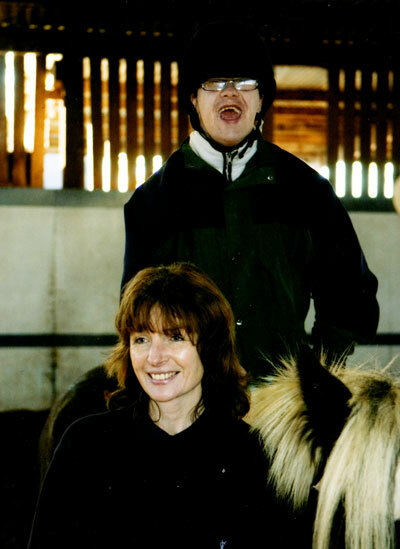 There are many people who have disabilities that don’t want to ride but find being around horses, brushing them, cuddling and stroking them very relaxing and therapeutic. This has been proved in many other centres and would be one of the things we could also do when there is no riding on the yard.